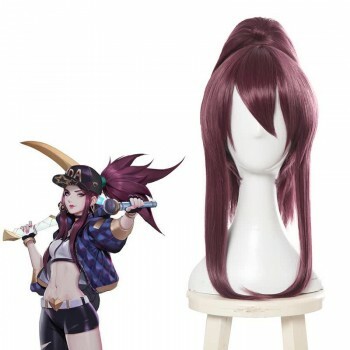 Features: This shoes are based on the role Evelynn in the hot Game LOL. 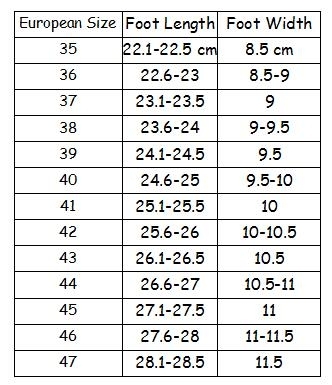 With high quality material and excellent tailor skills, you will wear it comfortablely in any situation. The shoes are fairly comfortable, though I haven't worn them for more than a few minutes to try on the costume with them. 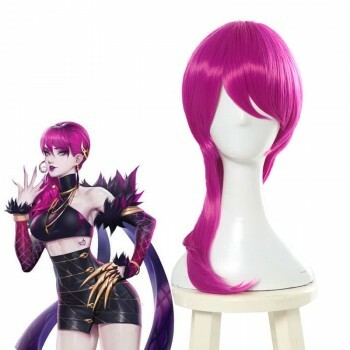 The material is a nice satin-finish vinyl/pleather that matches RoleCosplay's K/DA Evelynn costume nicely. 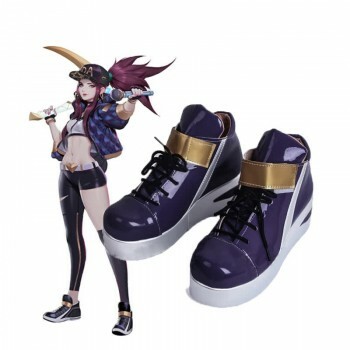 There are metal gold heart accents on the shoes, but they aren't completely accurate to Evelynn's design. The shoes are a little strange to get laced up correctly, but they do the job. 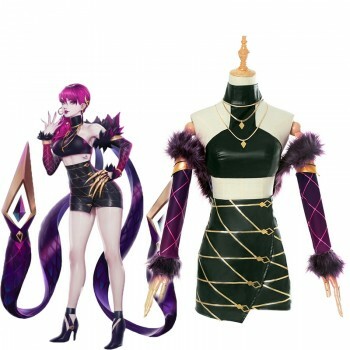 Wish I could upload more than one review image, but for another view of the shoes with the costume, you can go to the K/DA Evelynn costume sale page and see my review there. Hoping they remain comfortable during the con I'm going to, but inserts are probably a good idea.